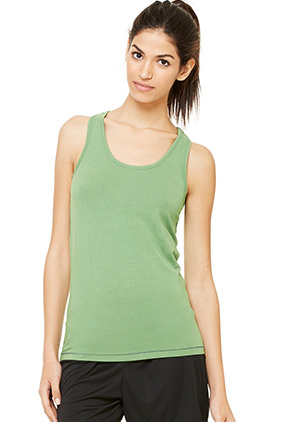 67% bamboo lyocell/29% cotton/4% spandex jersey ladies tank top. Racerback straps. Contrast thread at bottom hem. Naturally anti-bacterial, hypo-allergenic, and breathable with no added chemicals. StretchFlextm technology provides garments with comfort, lasting recovery and a great fit.